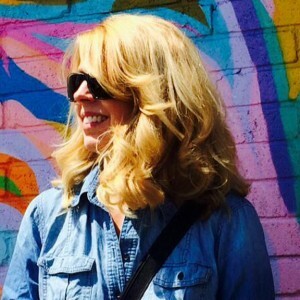 This month we welcome longtime Austin SCBWI member Christy Stallop to our interview series. Christy was the Illustrator Coordinator for our chapter for ten years, and continues to hone her craft and encourage others. She pursues both children's book illustration and gallery work with talent and passion and wit. I grew up in El Paso, Texas. I have always loved art. It was my favorite subject in School but in 8th grade, (our high school started in 8th), I failed art because I didn’t like the assignments and refused to do them. 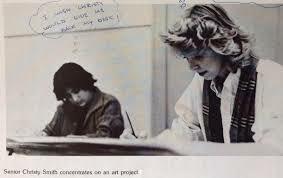 My wonderful art teacher, Mrs. Hartman, made me take art the following year and put me and a few others students in a separate class with no assignments. We would make an A as long as we were continuously working. This most likely was the sole reason I stayed with art. It gave me time to learn so many different techniques with unlimited materials. I will always be grateful to that wonderful teacher. El Paso has greatly influenced my work. 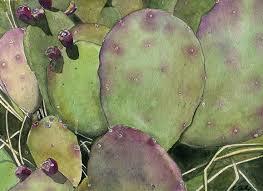 The Southwest landscape with it’s cacti and deserts became my succulent series. Growing up in a border city, I have great love and appreciation for the Mexican culture. My love for Dia De Los Muertos became a picture book titled “King Bones”. Thanks to Sean Petrie that picture book morphed into a graphic novel. 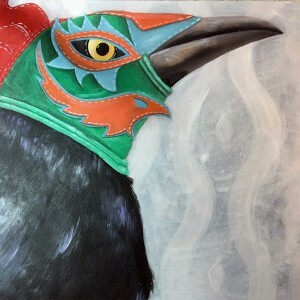 In my latest fine art series of grackles, the Luchador has made it’s showing. I love my home city and I don’t see how you could not be influenced by something you love and respect so much. Your projects are diverse, from children’s books to gallery shows. How does one project feed the other? Such a good question. A year ago I would have said they don’t, but It seems I am a story teller no matter what type of art I’m doing. My Grackle series has grackles in action. They are using everyday objects that a human would use. 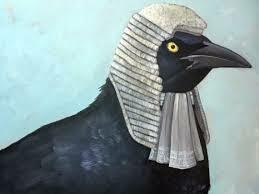 I want the viewer to wonder and question, perhaps make up a reason why these smart birds are doing what they are doing. In a sense, create a story by using only one image. I did! I wanted to go to school and be a legit artist. My father talked me out of it and insisted that I get a degree in something that would have a steady paycheck. I choose teaching because that’s were the big money is! It is one of my biggest regrets. Regardless, I have continued to learn about art. It is such a fascinating subject and there is always so much more to learn. Anyone watching me would be bored. First thing they would see is me being a mom. That has always been my first priority. I make breakfast and pack a lunch for my remaining boy (yes he is a senior and can do it himself). After he’s off to school, there is coffee talk with my husband. It’s a nice way to start the day. Once he leaves for the office, I’m in the studio. I try to make sure I start at 9. During the day, there will most likely be dreaded laundry…. because laundry never ever ends! The day is basically painting, cooking, and eating with a wonderful 6 mile walk, or 16 mile bike around Town Lake. How does your everyday life inform your work? Currently our walks about town are influencing my latest series. 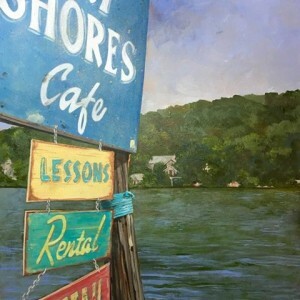 The Austin series are images of places I personally love. It’s kind of a visual love letter to Austin. I’m not painting places I don’t normally go. The work is specific to my perspective. Anyone that knows me will understand when I say my family and my boys. They make me so very proud. I am always floored by the ebb and flow of creativity. I went years (many years) without any desire to create and I had no ideas at all. It was a very scary time for me. Are you still an artist if you’re not creating art? I went through a bit of an identity crises. Currently, I can’t keep the water behind the damn. I am bursting with ideas …too many! I am enjoying the process at this moment. How do you want to impact people with your art, whether they’re children or adults? I am a fan of humor and nostalgia. I would be happy if my art connected with people on a personal level. A memory, something to make them chuckle… something to make someone feel good and smile. I really just want to make people happy. Author Bio: Christy Stallop lives in Austin, Texas and recently had two pieces selected for the juried Georgetown Art Center's Art Hop show. She has illustrated several children's books including THERE'S A YAK IN MY BED and POPPY AND PUPPY, and her Grackle series and Austin series of paintings are her some of her most recent work.